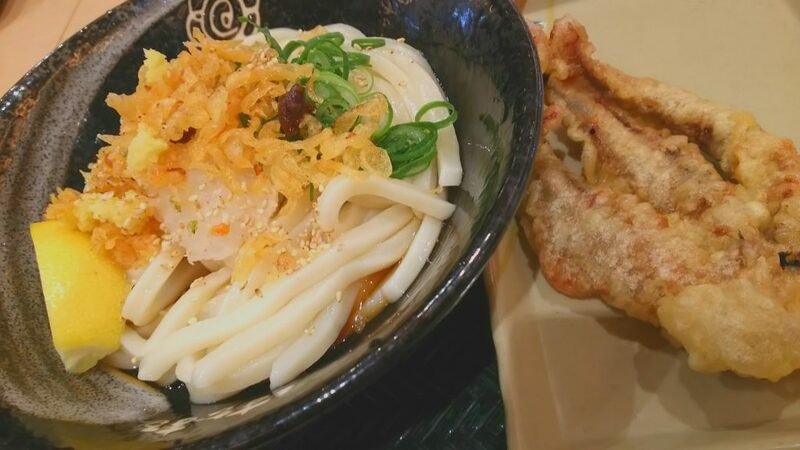 Hanamaru Udon is a reasonable udon noodles restaurant chain. I love its chewy noodles. Today I enjoyed them with deep-fried squid tentacles. It was perfect.